According to the Inter-American Commission on Human Rights (IACHR), 126 gender-based murders of women and 67 attempts have been reported so far in 2019 in what the organization characterizes as an "alarming prevalence of gender-based killings of women in Brazil." RIO DE JANEIRO, BRAZIL – In a disturbing new report from the Inter-American Commission on Human Rights (IACHR), in only the first few weeks of 2019, 126 gender-based murders of women along with 67 murder attempts have already been reported in Brazil for an average of four women killed every day. 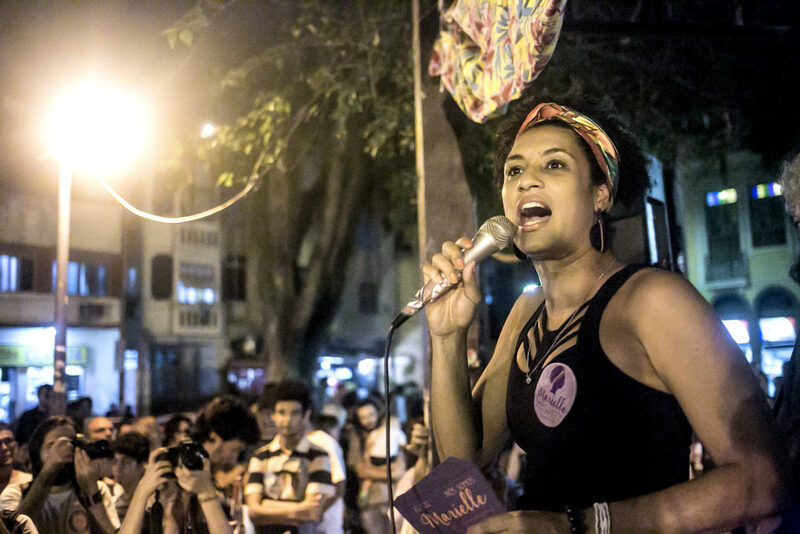 According to the IACHR report, women politicians and human rights activists, such as Rio councilwoman Marielle Franco, who was murdered in March 2018, are most at risk of being killed, photo by Mídia Ninja/Flickr CC BY-SA 2.0. “The commission calls on the Brazilian State to implement comprehensive strategies to prevent these acts, fulfill its obligation to investigate, prosecute and punish those responsible, as well as to offer protection and comprehensive reparation to all victims,” exclaimed the U.S.-based human rights organization in a statement. The report indicates that in the state of Rio de Janeiro, an average of three hundred women are murdered each year and in the state of São Paulo alone, from January to November last year, 377 women were murdered. The report further shows that most of the gender-based homicide cases against women so far this year have occurred as the result of domestic violence within the home, usually at the hands of a boyfriend with a previous history of violence against the victim. To stem this tide of gender-based violence, in 2015, Brazil implemented criminal laws with harsher penalties for perpetrators of gender-based killing of women. The human rights organization warned that black women, those belonging to indigenous groups, and members of the LGBT community, as well as women politicians and human rights activists are most at risk of being killed. Last March, Rio de Janeiro councilwoman and noted human rights activist, Marielle Franco, who was also black and a member of the LGBT community, was gunned down along with her driver, Anderson Gomes, after leaving a public meeting in Centro triggering worldwide outrage and protests. Nearly one year later, their murders remain unsolved.